Lots of bands say they are the "best". Who says the Joe Sharino Band is the best? The Joe Sharino Band has won seventeen Best Band Awards in Northern California from the San Jose Mercury News, Metro Magazine, Good Times Magazine and radio station KGO, San Francisco! 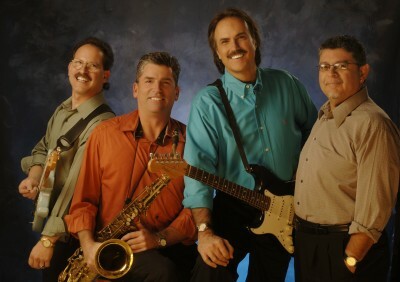 "What sets the Joe Sharino Band apart from other cover bands is charisma, lots of it. They've played weddings, corporate events, fundraisers and festivals of every kind. And audiences have fun, dancing and singing along every second they're onstage. Their song list goes into the hundreds, ranging from the 1940s to the present. It's like having a jukebox come to life. The people have spoken!" Santa Cruz Magazine said recently, "Rocker Joe Sharino's concerts at the Cocoanut Grove have become as much a part of Santa Cruz as the Town Clock. Scores turned out to hear this local legend and his band play." Here's What the Press is Saying About the Joe Sharino Band. "Joe Sharino is perhaps the most successful club performer in the bay area. The simple fact is that Sharino is a phenomenon, a charismatic entertainer whose following now extends from Arizona to Idaho and many points in between"
"The best and most famous dance band in the Bay Area. They are known for high energy dance music and their ability to involve the audience." to Event Professionals who meet our standards for quality and client satisfaction. To learn more about the selection process and find other professionals, visit the BRO site... http://www.byreconly.com You will also find more information there about the By Recommendation Only Guide. "...established his turf as the South Bay's Premier Cover Artist." "Their extensive repertoire allows the band to cater to everyone in the audience." "He wins the crowd over wherever he performs." "The audience went wild for Sharino who has to be one of the most magnetic and personable performers I've seen... his reputation is built on his strong vocal and guitar talents." 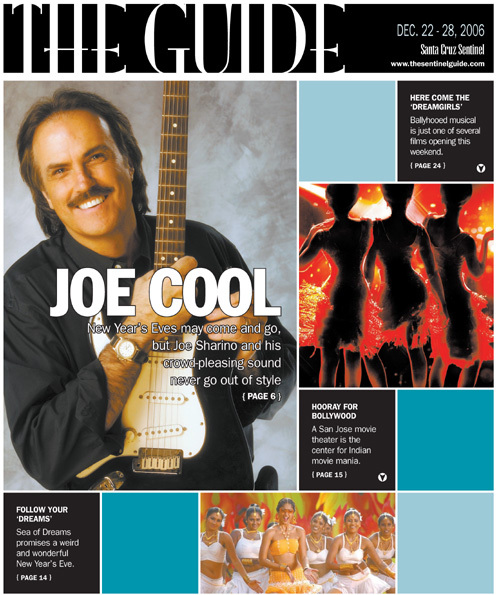 "Long after most of San Jose's rock bands are but a memory, there will still be Joe Sharino... 15 years as a fixture on the local scene." "Truly a phenomennon in the valley... for sheer entertainment, Joe's the Show." "The hottest nightclub act in the South Bay. The audience responds to his music by singing, clapping and dancing wildly." "One of the finest evenings of professional entertainment I've ever seen. They cram through the door in figural droves to clap, sing along, and bop in the aisles. No one can rival Sharino's incredible drawing power... a local cultural phenomenon. Wide-ranging vocal talents... natural charisma... utterly sincere charm." "A crack interpreter of Rock 'n Roll. They pack them in every week. ...seamless Rock 'n Roll entertainment for his sizable stable of hard earned fans who live throughout the west." "The audience gets what it wants." "De Anza's history of poorly attended school dances vanished saturday night with the performance of Joe Sharino. It was the most successful dance ever held here. The talented Sharino presented music that kept both those dancing and seated concert style enraptured." "Sharino... created the biggest audience participation event in Chico Club history. They play hits with an emphasis on audience participation - get people singing, clapping and having a good time." "Joe Sharino and his band opened for America and rocked the crowd of 3,500 at at the Leavey Activity Center on the University of Santa Clara campus. America, in all their greatness, was little match for Sharino's showmanship and manipulation of the crowd." "...a long running love affair with local audiences that is unprecedented." "One of the most talked about and highly praised entertainers in the valley. They're singing along with him, dancing and whooping it up for as long as he is on stage. Joe acts as a catalyst for an evening of good times and brotherly love." "Sharino rocks 'em at the US fest, opens show for 200,000 fans."